Order in next 14 hours and 1 minute for despatch today. 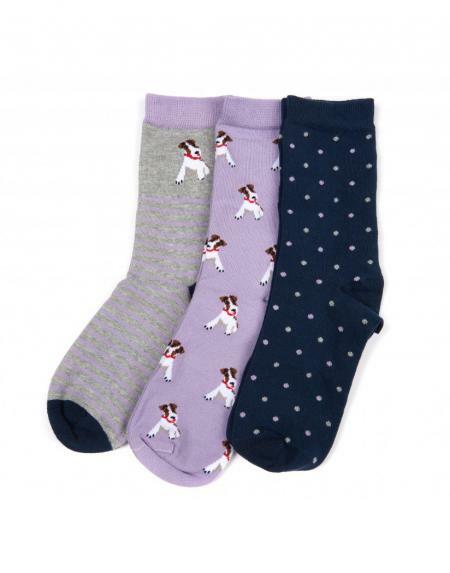 Three pairs of cotton-rich women's socks by Barbour, featuring a characterful terrier motif inspired by Barbour's British heritage. Presented in a premium branded box, each pair is finished with a jacquard-woven logo.